Halloween sometimes gets passed over when it comes to being considered a holiday with traditions. Sure, Christmas has Gallipolis In Lights at City Park, the Krodel Fantasy Light Show in Point Pleasant and festive parades in Pomeroy and Middleport, but what does Halloween have to remind us of its holiday status? What does it offer locally to remind our internal clocks that winter is coming, but not yet? Take for example, the Point Pleasant Halloween Block Party which has taken over the streets of downtown Point Pleasant for over 20 years. Started by Denise Scarberry who wanted to see that all local kids have a safe place to celebrate Halloween, the party has gone from a few tables of free, donated candy to an amusement park atmosphere that smells like popping popcorn, free hot dogs and sugar. This year’s party was moved from Riverfront Park to Main Street for more room to move…room the organizers were happy they needed. Following their neighborhood’s allotted trick-or-treat times, an interesting cast of characters poured into the block party this past Thursday, jamming downtown to the point where it resembled some of the city’s biggest festivals for a few hours. There was Boss Baby, Michael Meyers, Jack Skellington and though I recognized Harry Potter, I honestly had to look up the characters with him – they were Professor Albus Percival Wulfric Brian Dumbledore and Professor Severus Snape. I had to confirm my suspicions with my coworker Dean Wright who likes to remind me he is younger and talks for hours about Dungeons and Dragons. He is my “phone a friend” in these situations involving any science fiction or fantasy pop culture phenomena that happened after 2001. That was the year I stopped recognizing everyone on the MTV Video Music Awards and its gotten worse ever since. It’s pretty freeing to stop caring about all that and taking pride in having no clue who is rapping on my television these days. A long-term effect of the block party is, it encourages kids to be creative and walk in someone else’s shoes for a night – they can be an astronaut, a princess or make a statement with their costume. For young Eden Johnson, she came dressed as a “polluted mermaid” wrapped in every kind of plastic. She said she’d been inspired to make it from seeing a contestant on the television show RuPaul’s Drag Race who did something similar to literally wear their environmental concerns. Hats off to the Get To The Point community group, and the “Mayor of Halloween Town” Dusty Morrison and his crew, who took over the reins of the block party after Scarberry retired last year. I‘ve only heard one complaint – that there was nothing at the event but a crowd. I disagree with that sentiment because having covered many events where no crowd showed up, I can attest to the importance of humanity checking out the party. It means you’re doing something right, especially if the majority of the people are having fun and the line is long for free hot dogs. By the way, Denise was spotted serving up hot dog sauce again, proving retirement is sometimes just a word, especially on the last Thursday in October. Another Halloween tradition which returned Thursday night to Gallipolis was the passing out of some special apples. Since 2015, Derek Henry, now a senior at Gallia Academy, has been passing out apples on Third Avenue in front of the home of his former teacher, Ann Sickels. Sickels passed away in 2015 after a battle with cancer. Sickels was known for giving out apples at Halloween to trick-or-treaters outside her home on Third Avenue. It was said she did this to try and “teach” healthy eating habits. Her life as a teacher impacted Derek by fostering his love of reading and though touched by her death, he was also motivated by it. He received permission from Sickels’ daughter to set up outside her mother’s home and give out apples for trick-or-treat. Not just any apples, he went to the same orchard in Jackson Sickels patronized. The first year he picked up 400 apples, the next year he gave away 460. I remember when I asked Derek why he passed out the apples, he said, “I want to carry on the tradition of a sweet lady.” It was simple and to the point. This was the first year that Derek couldn’t be home to pass out the apples because like all of us, he has grown up and his world has gotten bigger. He was out of town, representing Gallia Academy at the National FFA Convention in Indianapolis, Ind. Despite this, he and his family made a trip to an orchard in Pataskala to retrieve the apples because the one in Jackson closed – showing things do change but there’s most always a Plan B. Derek’s mom and dad passed out the apples on Third Avenue this year in their son’s place. Full disclosure here that Derek is my cousin and I think he’s an awesome kid who is no longer a kid at 18 years old. He showed this week he’s an adult who made plans to cover something that needed done in his absence. That’s what grown ups are supposed to do. So for those who think Halloween is devoid of traditions, look closely around your neighborhoods. There will be that neighbor who greets you each year during Pomeroy’s Treat Street, wearing a witch’s hat or dressed as a vampire. Enjoy them now because one day either they will be gone or you will see past the makeup and fake teeth – at that point, the spell will be broken, the magic will be gone and you’ll remember winter is on the way. Oh, I almost forgot, there’s also the tradition of Halloween candy being marked 50 percent off on Nov. 1. Happy hunting Kit Kat lovers. 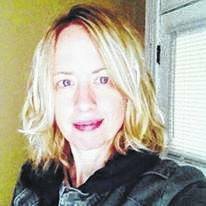 Beth Sergent is editor of Ohio Valley Publishing, which includes the Gallipolis Daily Tribune, The Daily Sentinel, Point Pleasant Register and Sunday Times-Sentinel. Reach her at bsergent@aimmediamidwest.com or 1-740-446-2342, ext. 2102.